Accelerate the ROI of your data center with HP Intel Xeon X5690 processors. The amazing HP Xeon X5690 processor helps save power, cooling, space and cooling costs. It also helps you save software licensing cost as most of the licenses are attached to processor cores with respect to memory and storage. Increase the IT performance through unique virtualization capabilities and advanced technologies of the HP Xeon X5690 processor. 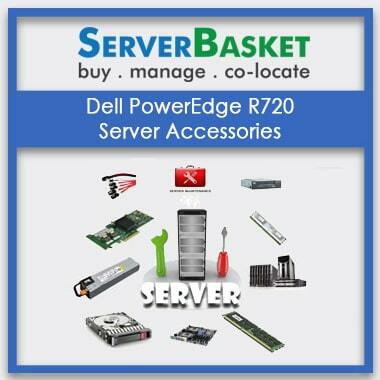 Now run your critical day to day business operations with ease. 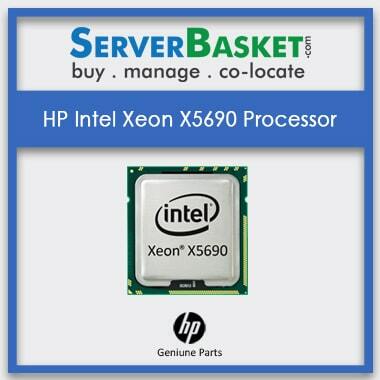 Buy HP Intel Xeon X5690 processor from Server Basket at a very lower price. 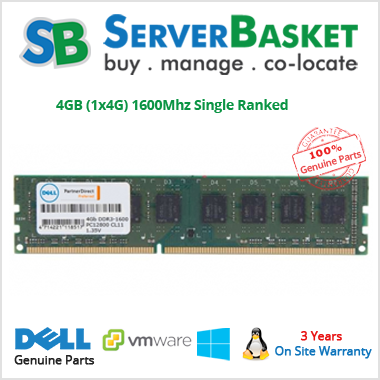 We guarantee you will not get X5690 CPU at such a discounted price from any other online retailer. 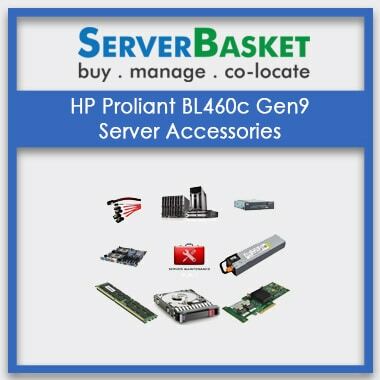 Buying HP server Supported Intel Xeon 5600 processors from Server Basket makes you eligible for services like swift shipping and installations support. We sell only genuine processors and so offer 90 days warranty. Built on 32nm technology, the new generation HP Intel X5690 processor guarantees blazing performance and power to meet even the needs of a data center. 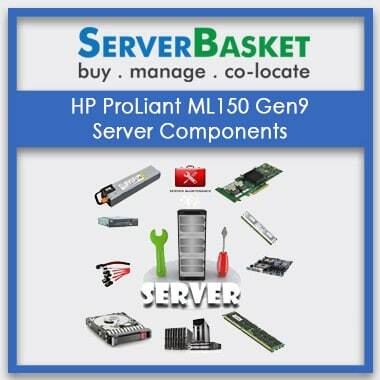 This powerful server comes with intelligent technologies that help to adjust the server performance as per your changing business needs. The next generation Intel Xeon X5690 when installed in your old servers, improves the power and performance. 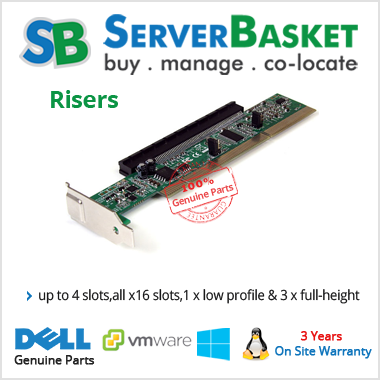 The processor comes with 6 cores, 12 threads, max turbo frequency of 3.73 GHz, 12 MB SmartCache, and Bus speed of 6.4 GT/s giving a new source of power to your existing used server. HP’s Intel Xeon X5690 processor comes with turbo boost technology. This technology allows the X5690 processor to deliver top-notch performance as per the business demands with the available power. Turbo boost allows the processors to operate above the rated frequency to meet up with the demanding workloads with low energy consumption. The higher number of cache and memory bandwidth that comes with X5690 helps the Hyper-Threading technology to deliver greater throughput and responsiveness for multi-threaded applications. Now run multiple applications simultaneously at a less possible time. Computational latency is reduced with Hyper-Threading technology, thus making optimum use of every clock cycle. Intel Xeon X5690 comes with the best security features that protect your servers from software attacks, data leakage and data loss. Intel AES new instructions enable secure and fast data encryption and decryption. With this security feature, you get speedy robust encryption and protection against software attacks. While the Intel Trusted Execution technology protects the system during server deployments, specifically in the virtualized environment. 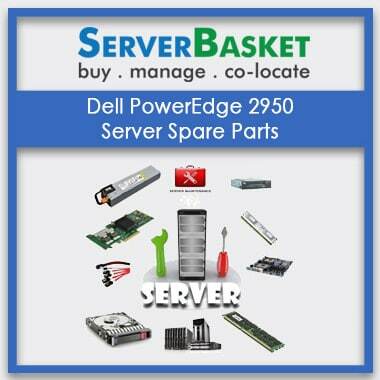 This technology secures your system prior to the hypervisor and OS launch. Now transfer your data between processor and I/O controllers at an intense speed with HP Intel Xeon X5690 processor. Comes with a bus speed of 6.4 GT/s QPI. The QPI i.e. QuickPath Interconnect in this processor enables higher-performance communication while also improving the system performance and scalability. HP Intel Xeon X5690 processor is compatible with triple memory channel i.e. DDR3 memory. The maximum RAM capacity it offers to an entry-level server is up to 288 GB which means you can run multiple heavy application with ease. The maximum speed of this processor at which the data can be read or stored in the memory is 32 GB/s. We are partnered with the best and renowned shipping facilities in Hyderabad, Bangalore, Chennai, Mumbai, Kolkata, Pune, New Delhi, Ahmedabad, Chandigarh Jaipur and other remote areas in India. We provide hassle-free shipping at your doorstep and opt for the fastest way of delivering the processor to you. The Intel Xeon X5690 processor we ship go through multilayer packing and are delivered at your doorstep securely within 2-3 business days. HP Intel Xeon X5690 processor is warranted to be free from any defects in workmanship and material for a comprehensive period of 90 days. In case your product fails during normal working condition, we guarantee you will receive an instant replacement.